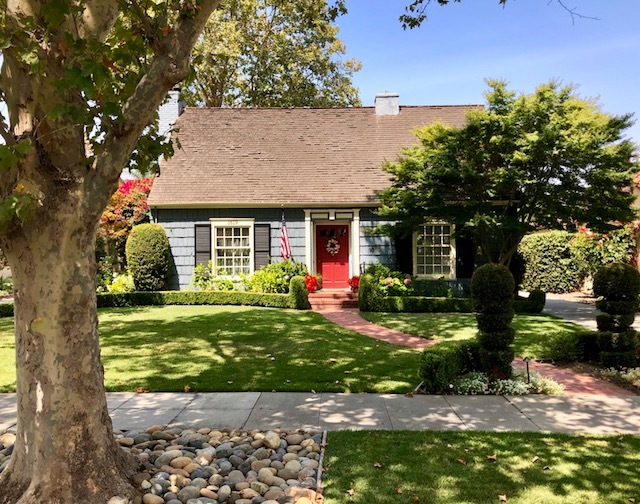 The Rose Garden Homes Tour has been celebrating the uniqueness and grandeur of the historic San Jose neighborhood for 24 years. This all-volunteer event is hosted by parents and students of St. Martin of Tours School who have spent countless hours to organize, prepare, and present this wonderful weekend. Proceeds benefit the children of St. Martin of Tours School by providing funding for programs such as Sports, Art, Music and Technology, in addition to the Scholarship Fund. Matt and Jenna Moore’s house was purchased by Matt’s parents and another couple in 1979, to use as a rental. In 2013, Matt, Jenna, and their Labrador and Husky moved in as the new renters. They fell in love with the neighborhood, but the original 1924 house with just two bedrooms and one small bathroom needed “a lot” of work. Two months after moving in, they found out they were expecting their first daughter and decided the kitchen needed a garbage disposal, which led to a whole new kitchen. Once the kitchen was done, they decided that the home needed a full makeover, that they wanted a project, and that Pershing Ave. was the only place they wanted to call home. They purchased the house from the two couples who owned it at the time and embarked on their project. They designed their current home to reflect their love of the East Coast and obsession with entertaining, as well as to accommodate their hope to expand their family further and their beloved pets. 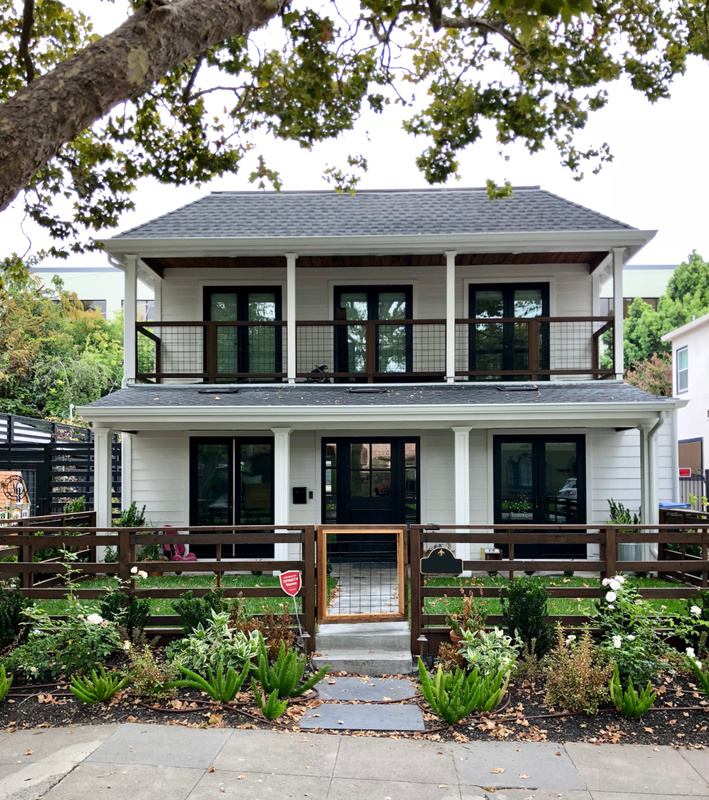 Construction took eleven months, and the now family of four and their two dogs moved in to their new home in September of 2017, after living in Scotts Valley during the rebuild. They continue to add special touches and customizations, which they know can’t be rushed! Some of their favorite things about the home include the indestructible wood-look tile floors, reclaimed wood details inside and out of the home, using wood from the original house, the open floor plan and having closets! While they love the way the house came together, their favorite place to be is in the backyard, eating dinner in the outdoor kitchen on a gorgeous South Bay evening while visiting with loved ones. When looking for a new family home in 1975, John and Antoinette “Toni” Heagerty came upon this beautiful gem in the Rose Garden. With school aged children at the time, Toni knew it was the perfect home to raise their family. Decades later, their children have grown, married and had children of their own, yet the Heagerty home is still a central point in the family’s life, hosting countless family dinners and celebrations. Built in the 1930’s, this classic Cape Cod colonial style home is a reproduction of the original resident’s house in Bainbridge Island, Washington and their family home in Ellsworth, Maine. The formal living room features beam ceiling, walls of knotty pine, floor to ceiling custom bookshelves, period molding and signature windows. The house radiates timeless New England character and charm throughout. The home has undergone two remodels since the Heagerty’s have lived here. In 1988, a family room was added to the back of the house, expanding the living space of the home. There are dual entrances from the family room to the mariners’ and garden patios, adding to the open feel of the home. More recently in 2017, the kitchen, master bedroom, bath and work study were remodeled. The original galley kitchen was expanded and updated, continuing to reflect the early 20th century charm while including 21st century functionality and technology. It includes expansive sea pearl quartzite granite surfaces and Brazilian cherry floor. The kitchen extends to the see-through full bar with custom cabinetry. In the work study the heavy, dark woods contrast with bright, signature small window panes, complementing the home’s classic look and feel with an abundance of light. The Heagerty family home is truly one for the ages. This classic Hanchett Avenue home has been a labor of love for the current homeowners, Stephanie and Mike MacDonald. Originally built in 1926, previous owners completed some renovations to the home back in the 1980s to expand the square footage. When the current homeowners purchased this home nearly 10 years ago, they sought to restore many original features and maintain the Tudor feel of the home. By echoing the 1920s details in the flooring and molding throughout the new construction, they have achieved a classic home with contemporary conveniences. While personal stories and classic 1920s details punctuate the interior, it is the heirloom furniture that sets this home apart. The office desk chair is an antique, acquired from the Mission Santa Clara where the homeowners were married. The antique family pie safe cabinet in the living room has been in the homeowner’s family for generations. This unique piece of history anchors the living room while complementing the room’s contemporary furniture. The homeowners themselves have lovingly restored many of these antique pieces by hand, including the table and hutch in the dining room. The classic interior of this home is enhanced by these personal touches and the restored furniture is updated to work perfectly with their design plan. The home of David and Maureen Mewes is situated in the historic neighborhood of Shasta Hanchett Park. 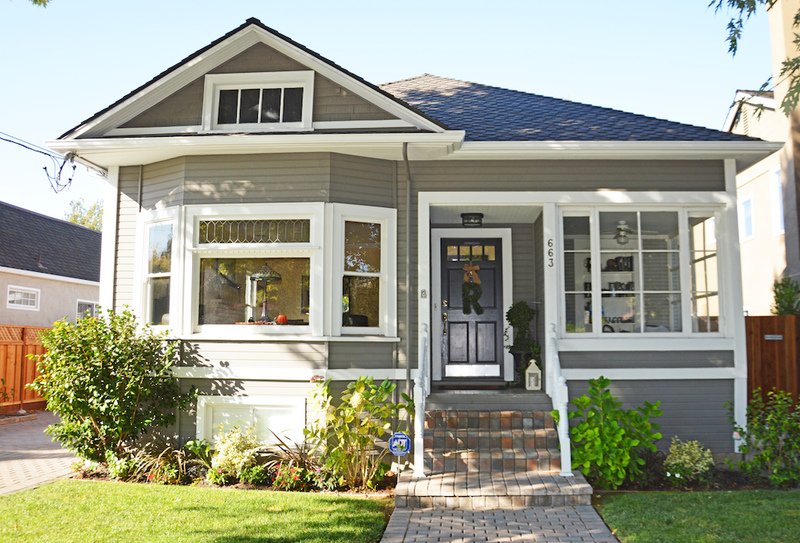 This classic Craftsman was built in 1915, with a second floor added 15 years ago. The Mewes have beautifully maintained the home's original architectural details, while updating it to include today’s modern conveniences. 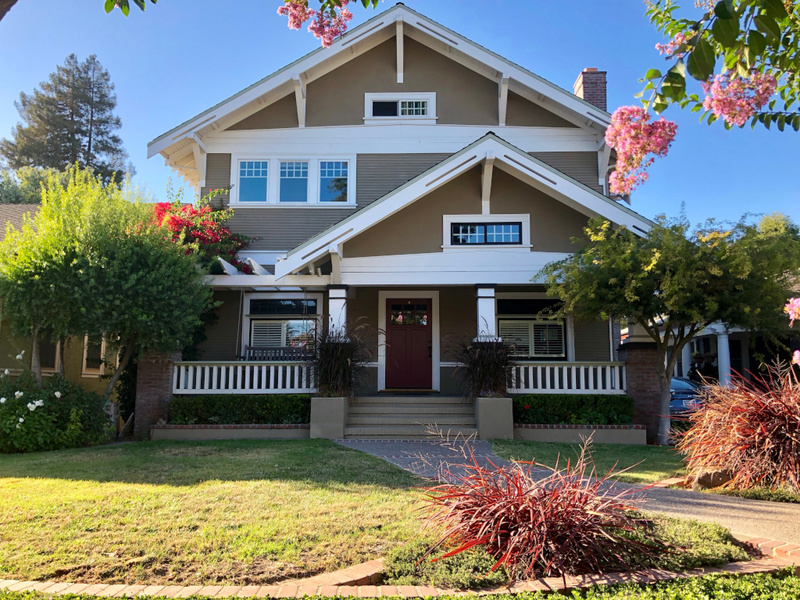 Gorgeous, coved ceilings, paneled walls and built-in cabinets with original stained-glass doors all honor the turn of the century Craftsman style. The home also includes striking design details, including gorgeous copper counter tops in the kitchen, newly renovated bathrooms, a spa-like master suite and spacious outdoor patios that overlook the citrus tree-lined backyard. 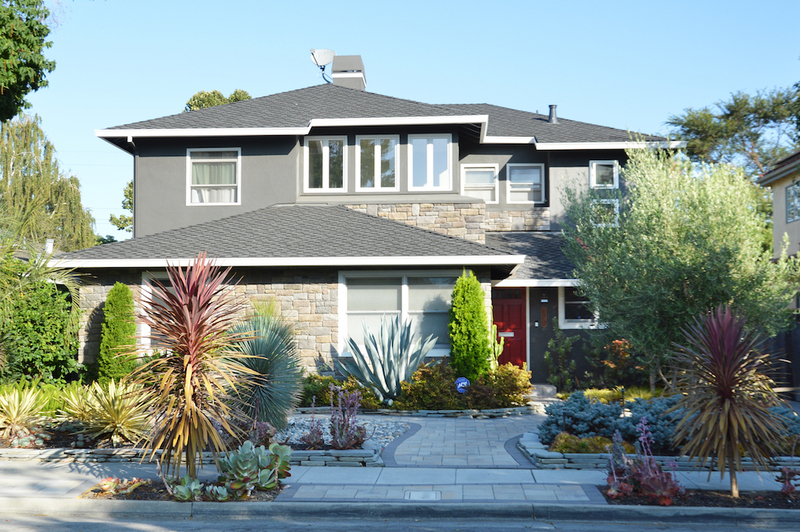 Maureen and Dave's latest endeavor was to renovate the landscaping in the front of the home, which has been updated with drought-tolerant plantings and low-flow irrigation as a nod to California's water conservation efforts. We're confident that a visit to this impeccably maintained property will inspire your next home upgrade. This year’s Tea House, a San Jose City Landmark, is a Spanish revival master- piece located at 295 Sequoia Avenue. 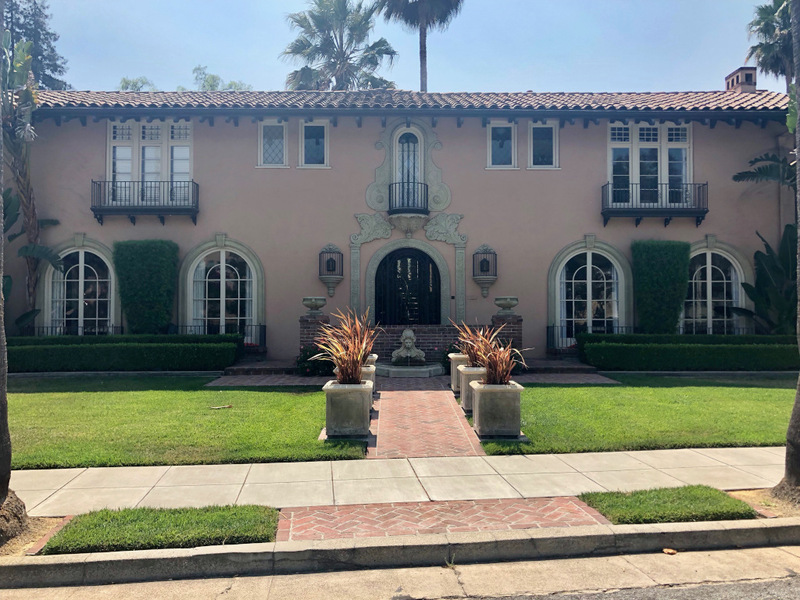 The original residence, built in 1914 as a single-story home, was purchased in 1924 by real estate developer and entrepreneur Anthony “Tony” Maderis. Upon purchase, Maderis took on extensive renovations to turn the single-story space into the stately two-story home that remains. The elaborate details of this home, such as the full height arched windows, wrought iron work, and Spanish baroque relief work that surround the front entrance make it one of the most unique and recognizable homes in the Rose Garden. Owners Larry Camuso and Kirk Wentland, friends of St. Martin’s, have spent decades restoring and maintaining this landmark home. Using historic photographs to keep their renovations authentic, they have restored the details lost to modernization over the years; details such as removing the newer aluminum windows and replacing them with the original vintage wavy glass windows of the time. Their care of this historic property extends into the outdoor space, where Tea House guests will enjoy the meticulously kept gardens overlooked by the staircase tower, with its lancet windows and stained-glass inlays, and pool with colorful Spanish tile work. With both of their children off to college in 2013, the homeowners decided the time was right to find a new home to fit their new lifestyle as empty-nesters. 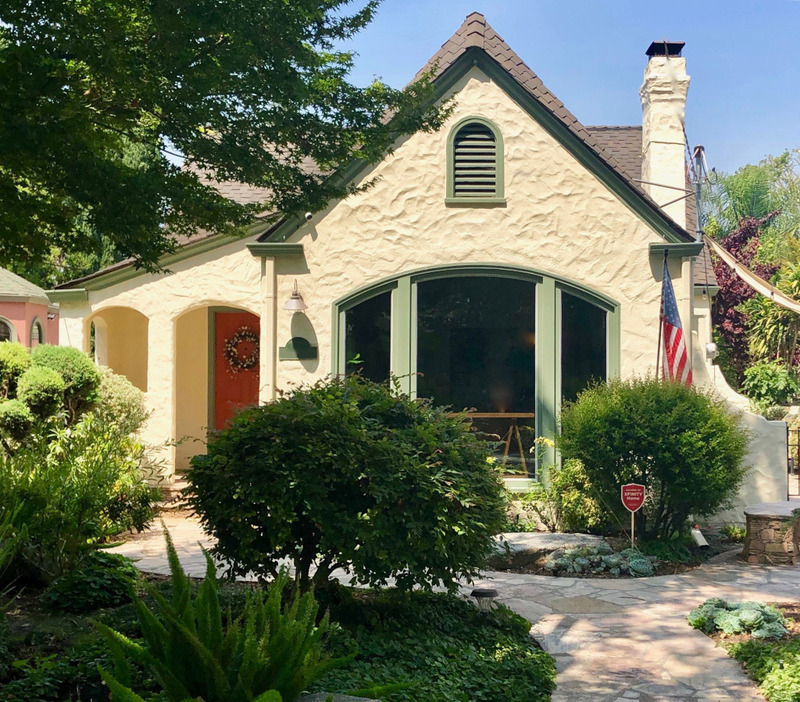 Their previous home in Willow Glen was very traditional, so they were looking for something they could really make their own. At first sight, this home more closely resembled what the homeowner describes as a "nice Tahoe cabin." With exposed wood ceiling beams, a huge silvery rock wall and a potbelly stove in the living room, the style was not what the homeowners were looking for but the openness and good bones of the home won them over. The homeowners spent two years struggling with different design ideas for the house, meanwhile beginning with a backyard update. On the verge of giving up and putting the house back on the market, they met with architect Marcy Mac Donough who came up with the winning plan. This new plan covered the beamed ceiling in the living room, added a pantry and laundry room off the kitchen, added an additional bedroom and turned an existing bedroom into the music room. They also moved the hallway to create a separate "wing" for the children or guests and to give the master bedroom two walk in closets. 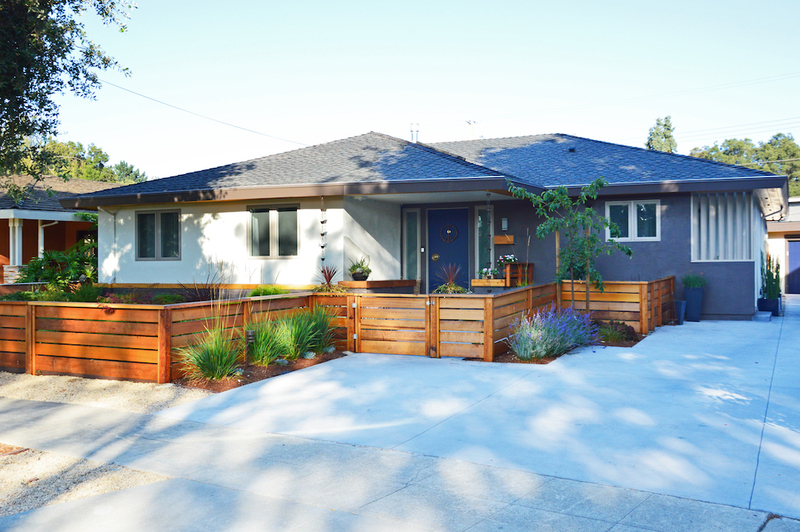 With support from CMF Construction, the homeowners began an aggressive five-month renovation project, while living in the home, to turn it into the bright, open, and functional modern home it is today. The resulting house and yard fits the homeowners’ personalities perfectly – and is a welcoming home for their family and guests. The homeowners reflect, "It is amazing to see what we have accomplished since 2013 and we absolutely love our house, both inside and out." This elegant residence was originally constructed in 1954 as a single story home. Since purchasing the home, the homeowners have served as their own design team, continually updating the home while partnering with Maggetti Construction. The main focal point as you enter the home is the glass railing adorning the staircase that leads to the second floor. This feature alone took eight months to engineer and construct, primarily due to angle of the stairs and slope of the glass. The ornate chandelier at the top of the stairs adds an element of complexity to the space, perfectly balancing the clean and modern feel of the staircase railing. Sophisticated comfort is the theme for the master suite, which serves as one of the homeowners' favorite retreats. The oversized mirror and luxurious nightstands from Horchow add an air of relaxed refinement. A hand-crafted tile backsplash speaks to the homeowners' individuality while the heated tile floors create a luxurious and warm environment. Maintaining the theme of maximizing natural light and openness, the doorway between the dining room and the kitchen was opened up, connecting the two spaces and reducing the dependency on artificial light. The two combined spaces flow effortlessly into the family room, creating a sense of connection to each of these unique areas. The importance of an effortless connection between indoor and outdoor living is evident as you move into the well-appointed backyard, which can be accessed both from the family room as well as the living room. A spacious, rectangular pool by Royal Pool Design and Hardscape, complete with both a Baja shelf and hot tub, is surrounded by a beautiful travertine deck punctuated by lounge chairs and umbrellas for a resort style feel. The home of Marie and Richard Munley is a stunning Tudor Revival designed in 1919 by the renowned architects Wolfe and Higgins. The Munley's home is featured in the recently published book, Wolfe & Higgins Master Architects of the Spanish Revival, by Krista Van Laan. 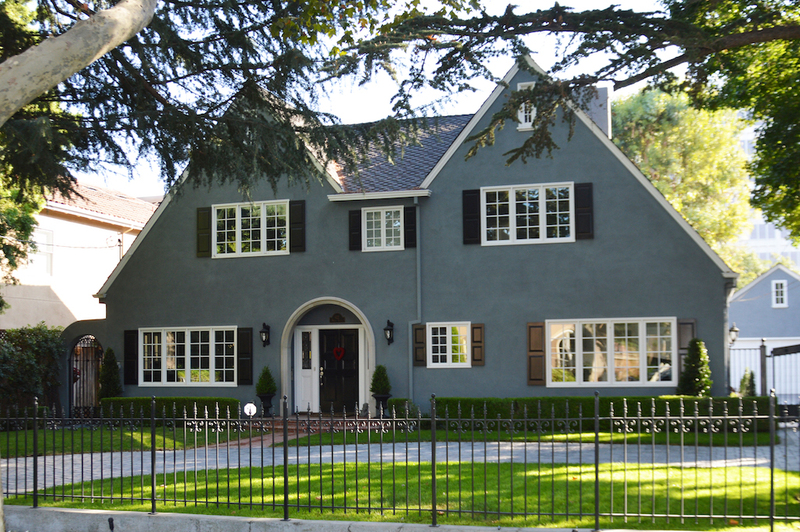 The first of a handful of Tudor Revival homes built in the Rose Garden, the Munley's home has many unique features. The staircase in the entry with its angled newel post and rounded stairs, and the front doorway which is set in a beautiful arched entry, are favorite features of Wolfe & Higgins. The home is English in architecture with an interesting roofline. The façade is flat with symmetrical paired front gables. The Munley's home is designated as a historical home in San Jose, and the Munley's have preserved the classic style of the original design since the home was purchased in 1977. A full remodel of the entire home was completed in 2015, including opening up the kitchen and pantry areas to create a very inviting and expansive living space. Because of the historical designation, the remodel had to retain the original appearance and classic design of the exterior elevations. New windows and doors retained the original design. The original footprint was kept, including a built-in butler's buzzer on the dining room floor. They worked with a stellar team comprised of architect Lyle Mosher and builder Rose Construction. The Munley's grandson, Jordan Sandoval, is a St. Martin's graduate of 2014. Craig and Julie Paulsen moved to Morse Street 18 years ago when they were expecting their first child. In 2014, they were looking for a new home that was a bit larger for their family when this house came onto the market. Thrilled with the thought of staying in their same beloved neighborhood, Julie became a fixture at the open houses. She dragged her husband and friends through several visits to the home before they finally made an offer and it was accepted! The Paulsen family lived in the home for a couple of years before they embarked on a major remodel. The first order of business was to change the layout of the second floor by removing one of the staircases, modifying the bedrooms and bathrooms, enlarging closets, adding new windows and walls in the sleeping porch, and incorporating an upstairs laundry room. Once the second floor remodel was completed, Craig and Julie started on the downstairs. They added on to the back of the home, creating a family room open to the kitchen, moved the bathroom, and added a mudroom. The family loves being outdoors and entertaining which was incorporated into the architectural design. 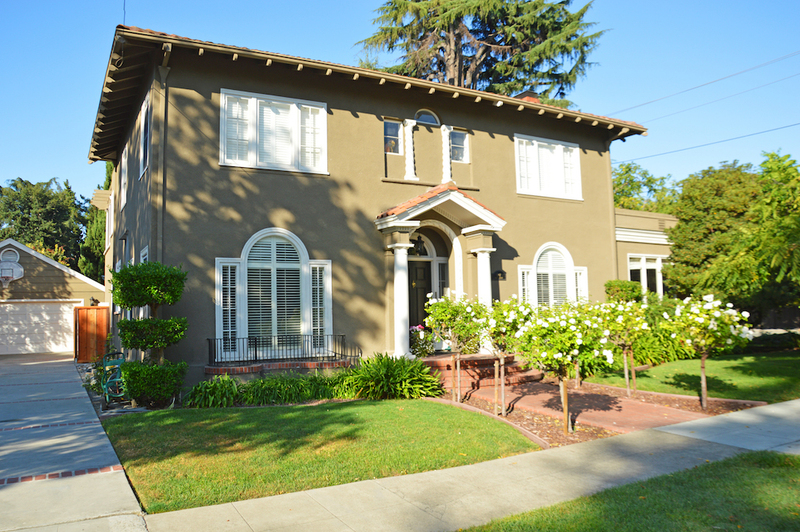 This 1918 home first appeared on the Rose Garden Home Tour about ten years ago. The Paulsen's, whose two boys graduated from St. Martin of Tours and now attend Bellarmine, wanted to open this home again in support of their boys' alma mater. Their hope was to create a house where everyone who visits feels welcomed, and at home. When the Rainey family's backyard is not bustling with Homes Tour activity, it is bustling with sporting activities. Their 13-year-old son takes cuts in the outdoor batting cage, and their 16-year-old daughter practices her soccer skills. The Rainey's have a long history at St. Martin of Tours. Their daughter graduated in 2016, and their son will graduate in the Spring of 2018. Libbie, herself, has been involved in the Homes Tour for several years chairing other people's homes. This is the first time the roles are reversed. "It was our last year and how appropriate to be on the tour, now. It's been a good ending," says Libbie. They also recently completed an extensive remodel which included the backyard. "There is not a lot a of room inside to entertain. We didn't want to knock down any interior walls, so we decided to push out the family room and create a bigger space to entertain outside." The outdoor room is an all-season space. There are heat lamps to help stay warm in the winter, a fan to stay cool in the summer, and a 70" flat screen television to enjoy year-round. "The kids are getting older and we wanted a place for them to hang out. The outdoor room can be a kid zone or an adult zone. It can be whatever we want it to be," says Libbie. And just a month ago, the last coat of paint was applied to the outdoor kitchen which was built by Antuzzi Concrete Designs -- just in time to host this year's Homes Tour Tea House and Boutique!